Middle School and Elementary Electives are an exciting undertaking at Winterhaven. 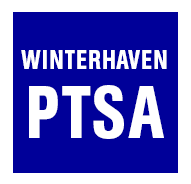 The PTSA funds three 5-week sessions for Elementary grades (K-5) and five 5-week sessions for Middle Schoolers (6-8). Classes are typically a break from standard PPS curriculum, educational, and a lot of fun. Faculty and students value the time they spend learning during this hour: students for the pleasure of learning concepts, skills, and opportunities outside of their mainstream curriculum, and teachers for the extra planning time it gives them. Elective planning is a volunteer job run with a small budget. Coordinators perform community outreach to find qualified teachers to offer a variety of interesting and new classes each term. What we REALLY need to make this program successful is YOU! Interest Classes can only thrive through engaged community parents who volunteer, assist with finding teachers, and who spend some time supporting their students. At this time, we are recruiting new Elementary and Middle School Interest Class Coordinators (this job is currently shared by 2 parents--why not consider sharing this job with a friend?!?!) Next-year's coordinators need to be able to shadow the current coordinators, all of whom are stepping down at the end of this year. Typically this is a two-year commitment. We also need more Parent Helpers. These can be people who co-teach a class, are parent assistants, or who "float" between some of the classrooms on Fridays (mornings 8:45-10:25 for Middle Schoolers, 2-3pm for Elementary grades) helping teachers with whatever they might need or to quell or distract wiggly students as needed. Lastly, we are ALWAYS seeking new Teachers. While we do recruit quite a bit outside of Winterhaven, our budget is small. Not everyone wants the small amount we can pay them to share their talents and skills with our students. However, we are rich in parents and family members with an enormous variety of talents. If you have a skill, art, talent, craft, or qualification you believe you could turn into a 5-week course for upper or lower grades, or both, PLEASE reach out to the Coordinators. Without volunteers, we cannot make this program last all year, and while the students appreciate our guest teachers, they are MUCH MORE impressed when it's their own family member (or parent of one of their peers) teaching them something they didn't know before. Please consider sharing your gifts with our students! !